How do language teachers present vocabulary to students while using meaningful language? I have a multi-pronged approach and have already discussed on the blog some of my techniques: storytelling, interviews and reading. In this post I want to explain how I use pictures to help students acquire vocabulary. In isolation this approach isn’t enough, but as one method of many it is useful. The first time I cycle through pictures of new vocabulary words, the students just listen. They don’t need to repeat nor do they need to respond. This allows them the opportunity to hear the language before they are asked to react to it. I am able to make the language I use meaningful by talking about myself. I tell them about my home, my weekend or something else about me. I am modeling the way that the students will later use language to talk about themselves. By using pictures that are of authentic items in the culture, I can also touch on cultural ideas that will be further expanded later in the unit. 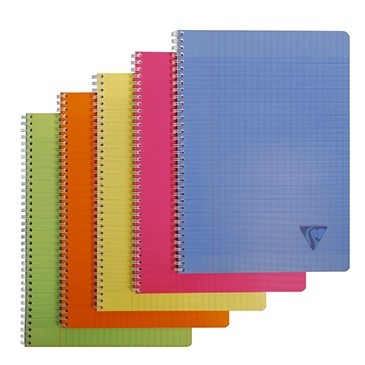 For example, when I show pictures of school supplies the pictures are authentic French objects that I have found online. The objects look different than the American ones, for example the paper in France has more lines on it. This leads me to talk about French culture as well, i.e. that handwriting is still taught in France and the lines show the height of letters. Or when I am introducing places around town, students can see that school supplies and books are sold in the same store. The second time that I cycle through the pictures, I ask students to respond to what I am saying, but just by raising their hands. The students get a second exposure to the vocabulary and this time they have to respond to questions. My goal is to repeat the same language again, each time saying something meaningful. I don’t ask, “Is the sweater white?” which doesn’t give any context to the word “sweater”, but I ask, “what do you wear to a party?” The next level is to ask students questions about themselves using the pictures as cues. After having shown single pictures of vocabulary words, I move on to one picture that depicts many of the new words in a particular context, for example a scene of different articles of clothing in a clothing store, with multiple customers and salespeople. I say a dozen or more statements about the picture and students raise their hands if I say something false. Again, this is yet another chance to hear the words. Lastly, I hide the picture and students are challenged to, as a class, come up with 15 sentences to describe the picture. I write hash marks on the board until they get to 15. There are a few principles I am following in my presentation of vocabulary through pictures. First, I am allowing a silent period when students are presented with language before students are asked to do increasingly complex tasks that lead up to producing language. Secondly, I am always using language in meaningful ways, to truly communicate. Thirdly, I am embedding culture in my presentations by teaching language through images from the culture. And lastly, I personalize the language by talking about myself and by having students talk about themselves and their experiences. Here are examples of the presentations I use to introduce vocabulary: school supplies and places in town.